Disregard, wrong thread. Got confused after having quite a few tabs open.
" http://www.mediascape.co.jp/zunps/ " just got an update(19/09/2014). Thanks again for keeping tab on their site! The site has been updated with a summary of the project's purpose, and a list of participating doujin circles (only the 3 announced circles now). Page 1: The project will port original doujin games and Touhou fan games to PlayStation consoles. No mention of the official Touhou games. Page 2: They have more Touhou circles under their wings. Page 3: The development will primarily be conducted by the circles themselves, with technical support from their company MediaScape, Sony Computer Entertainment, and knowledge exchange among the circles. Page 4: Original games will also be part of the project. Other than direct confirmation of original games, the info about how the ports will be handled is the most important new info. Sony is serious about cultivating an indie game ecosystem in Japan. This requires them to teach the developers how to develop on consoles. I read this a while back. I really want a port in the Vita though. Like hell, I'd not want to play 2hu on-the-go. With this news. 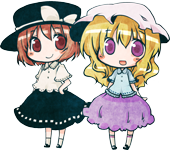 Will ZUN finally give in for a 2hu animu? If he does, I hope he writes it, and it's produced by SHAFT. about anime I think zun still don't approved it. IMO it's like cuc said the main objective of this touhou x playstation is to pave the road for his fellow doujin game maker. I was under the impression that people have already done so with the vita, and I know they have with the psp, but mayb eI'm incorrect with the vita. Even if that was not the case though, I would agree that hoping such would be silly except for the fact that fushigi has been attempted to be hacked by people who have proven to successfully hack other touhou fangames for translation purposes, and were unable to do so in a workable manner (like they kinda sorta could but translating had so many quirks and problems they gave up if I understand correctly). I mean simply that the ratio of hard-core/soft-code, format, whatever...anything, just might (MIGHT, not saying it's probable, but I'm crossing my fingers) coincidentally be more "hack friendly" in a psn version. edit: I just used a tome of reincarnation on my hina and now, even though I never used a single hp gem or hp level up bonus on her... her hp is horribad. like... half of patchy's... wdf?! A fourth title has been announced: "Gensou no Rondo" by CUBETYPE. Two Vita themes are released at the PS Store, each at JPY 432, one for Gensou no Rondo, the other being 幻想郷四季・冬 "Four Seasons of Gensokyo - Winter". The latter is part of a series to be released over a year, featuring contributions from fan artists. At present, the two RPG titles are supposed to be released on Vita, while Gensou no Rondo will be for PS4. The platform of Sky Arena is still undetermined. Well, from a technical perspective, it's only natural to forego supporting PS3, due to how difficult it is to develop for. However, the adoption rate of PS4 in Japan is... still far from optimistic. That's probably why they added Vita support at some point after the official announcement. Why would Touhou clash with Nintendo's cutesy image? They have non-cutesy games like Zelda, Fire Emblem, Xenoblade, etc., all of which make Touhou super family friendly. In fact, Nintendo even owns games like Fatal Frame (they co-own it) and Eternal Darkness, both of which are absolutely against their cutesy image. That doesn't mean anything. PSX style controllers and clones have always been popular as PC controllers. What about Touhou Smash Bros.? Um on one hand... i can see why you say this... the girls like to drink sake, but in game they don't mention it/drink it. However i can think of countless reasons that clash with that statement. the girls like to drink sake, but in game they don't mention it/drink it. The point is that Touhou's concept as a whole does not clash with Nintendo's policy, considering that, as I said before, the latter owns series such as Fatal Frame (they co-own it) and Eternal Darkness, both of which make it look like child's play. And while Nintendo of America has issues with more mature stuff in their games, Nintendo of Japan has lesser issues with them. The original Mario Kart, for example, has Peach and Bowser drink champagne in the Japanese version when they get first place. And in the Japanese version of Wario Land 2, the transformation Crazy Wario is Drunk Wario, as the penguins that threw balls at him in the English version splash him with beer instead. Come to think of it, aren't Reimu & co. underaged drinkers? No, none of them are. I think Kosuzu may be. I forgot about that, sorry. Assuming there's a drinking age at all, Reimu would have been 20 by PCB anyway, rendering the point moot. Article on a Dec 18 panel about Sony Computer Entertainment and indie publishers. Speakers include Sony's Akinari Ito, Unity Japan's Hiroki Omae, Playism's Shunji Mizutani, and Mediascape's Nozomu Ezaki (D.N.A.) and Fumio Oyamada. It is the Play,Doujin! 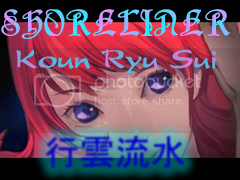 project's goal to bring Japanese doujin games to the world. That's why the name is written in English letters. Article on a Dec 16 panel about Sony Computer Entertainment and indie publishers. Then would this be possible news of the doujin games being on more then just Japanese PSN? Does anyone already know why this happens and the true reasons behind this? I wonder if it will be the only one game in the case or if it's only the beginning of other similar things. I hope it won't. Fully commercial Touhou games are the last thing I'd expected to see. I'm genuinely upset by what I just learned. Correct me if I'm wrong, but I remember something being said that Official Touhou games will not appear on PSN, and that this is a way for fan games to get their games out there. Oh OK, from what I've gathers reading all of this, they are setting up a system for Dojinshi circles to put their games on (not just Touhou games), it's apparently really hard for these circles to get the kind of fame with out advertising like Zun's and a few others can.